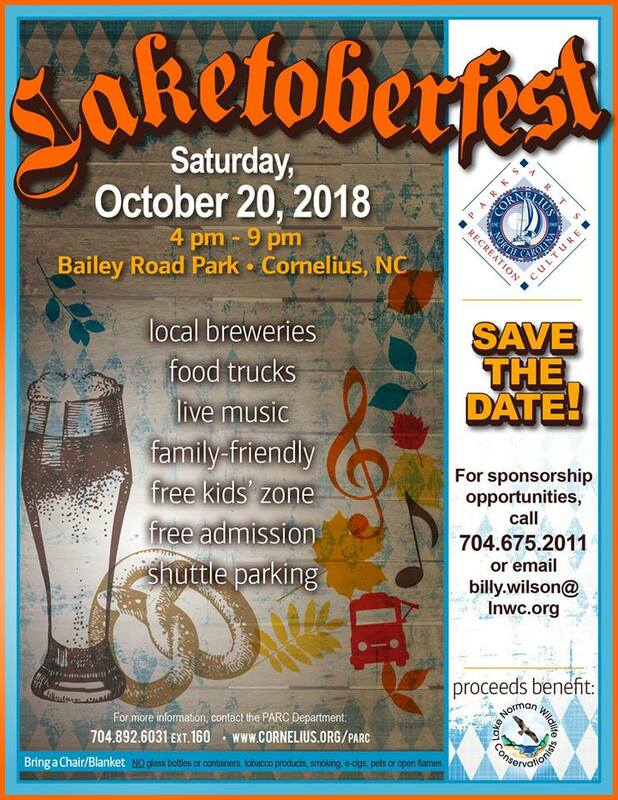 Join LNWC and the Cornelius PARC Department on Saturday, October 20, 2018, from 4:00 p.m. to 9:00 p.m. at Bailey Road Park for the return of Laketoberfest! This annual family-friendly event is one of the largest Oktoberfest celebrations in Lake Norman and attracts thousands of guests each year. This year’s Laketoberfest will feature a dozen local craft breweries, food trucks, vendors, kid’s zone, and live music! Admission and parking are free.